Good morning O-Deck. This is my first FOTD since I was given posting rights. First off I want to thank those who supported giving me posting privileges. I am thankful that you trust me to not be a dipshit with posting and pleased you appreciate my content. So while I wasn’t planning a FOTD today due to being in transit home after my vacation, the flight from Boston to Houston got in early and since I have some time to kill I figured I could bang out a quick FOTD. Did you know that a Black Panther movie has been discussed since 1992 and at one time Wesley Snipes was attached to the project? I found a bunch of old gaming and sci-fi magazines while I was poking through my stuff at my mothers house. There were to many to take all but I took ones that I thought would yield interesting items for FOTD. The initial source was the Cinescape 2001 Year In Review issue. On page 52, a section called “Development Heck” had stories of movies that were expected but did not get a 2001 release. Here is the blurb on Black Panther. I inquired further on Wikipedia and found details on the movies long history of attempted production. In June 1992, Wesley Snipes announced his intention to make a film about the Black Panther. By August, Snipes had begun working on the film. In July 1993, Snipes announced plans to begin The Black Pantherafter starring in Demolition Man. Snipes said in August 1993, “We have a wide-open field for comic book characters on the big screen and we’ve yet to have a major black comic book hero on the screen. Especially the Black Panther, which is such a rich, interesting life. It’s a dream come true to originate something that nobody’s ever seen before.” Snipes expressed interest in making sequels to The Black Panther. In January 1994, Snipes entered talks with Columbia Pictures to portray the Black Panther in the film adaptation of the comic book superhero. The following March, Stan Lee joined the development process for a film about the Black Panther.By May, the film was in early development with Columbia Pictures. In January 1996, Stan Lee said that he had not been pleased with the scripts he had encountered for the Black Panther. In July 1997, the Black Pantherwas listed as part of Marvel Comics’ film slate. In March 1998, Marvel hired Joe Quesada and Jimmy Palmiotti to work on the Black Panther film adaptation. In August, corporate problems at Marvel had put the Black Panther project on hold. In August 1999, Snipes was set to produce, and possibly star, in the film featuring the Black Panther. 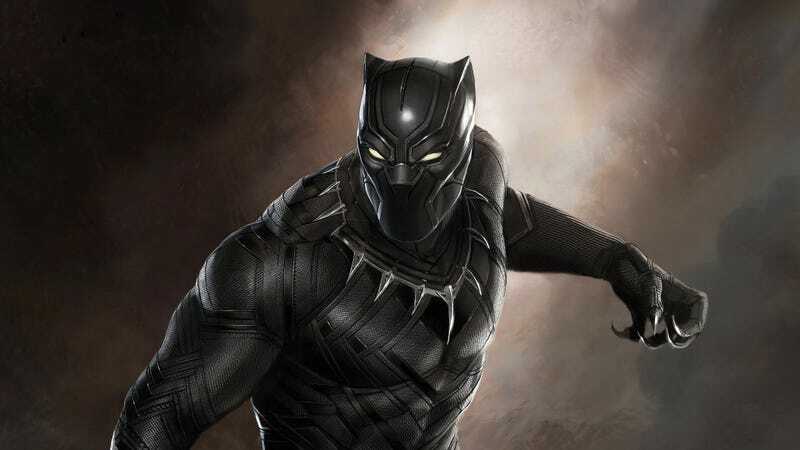 In Marvel’s June 2000 deal with Artisan Entertainment to develop film and television adaptations, the Black Panther was one of the four names (among Captain America, Thor, and Deadpool) that surfaced. In March 2002, Snipes said he planned to do Blade 3 or Black Panther in 2003, and reiterated his interest five months later. In July 2004, Blade 3 director David S. Goyer said Snipes would not likely be Black Panther. “He’s already so entrenched as Blade that another Marvel hero might be overkill,” said Goyer.In September 2005, Marvel chairman and CEO Avi Arad announced Black Panther as one of the ten Marvel films that would be developed by Marvel Studios and distributed by Paramount Pictures. In June 2006, Snipes told Men’s Fitness magazine that much work had been done toward a film adaptation of the Black Panther, and that he hoped to have a director soon. In February 2007, Kevin Feige, president of production for Marvel Studios, stated that Black Panther was on Marvel’s development slate. In July 2007, director John Singleton said that he was approached to do Black Panther. In 2009, Marvel attempted to hire a gathering of scribes to help come up with creative ways to launch its lesser-known properties, such as Black Panther, Cable, Doctor Strange, Iron Fist, Nighthawk and Vision. In January 2011, Marvel Studios hired documentary filmmaker Mark Bailey to write a script for The Black Panther to be produced by studio head Kevin Feige. Marvel co-president Louis D’Esposito said he thought about making a Black Panther Marvel One-Shots film but felt it would be too complicated to do as a short film. On July 9, 2014, Raw Leiba revealed he is in talks to play Erik Killmonger in the film. Feige said in October 2013 that a film is in development. In October 2014, Marvel Studios officially confirmed Black Panther, scheduled for release on November 3, 2017 as part of its Phase Three slate of films. Additionally, the character will be portrayed by Chadwick Boseman and will debut in Captain America: Civil War in 2016. In February 2015, the release date was moved to July 6, 2018. In April 2015, Feige revealed that he would be meeting with directors after the release of Avengers: Age of Ultron at the end of the month. On June 25, 2015, Screencrush reports that Feige has met with Selma director Ava DuVernay on about directing the film. However, on July 3, 2015, DuVernay confirmed to Essence that she will not be directing Black Panther because of creative differences with Marvel executives when “it comes down to story and perspective”. I know this is the part where I dig into individual sources and post separate links. I hope you guys will forgive me for not doing that today since 1. This looks to be a pretty thoroughly sourced article and 2. I’m banging this out on my IPhone while waiting to board a plane. I really just wanted to use that because it looked interesting. I’m sure i’ll be using this as well as all the other magazines I brought home as a useful resource. But for now I will wish you all a peasant day and I will see you all on the next Fact Of The Day.